Tpamdw Young Frankenstien took over as the midnight halloween cult movie at the only theater in town. Kicking Rocky Horror out of the running. tpamdw she stepped inside the TARDIS (it's bigger on the inside) and found something that goes ding when there's stuff. That's FUNNY! The person above me died when they locked the person above them in an egg. the person above me died when she lost the keys after locking sprousefan23 in an egg. 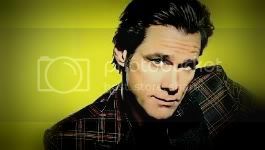 the person above hates that believe it or not is not longer an upcomming Jim Carrey movie. because tim burton is the best director in the world and Jim must work with him! TPAMDW they imagined an inescapable box and couldn't get out of it. the person above me died when she saw a cockroach crawling on her nose. the person above me died after laughing badly about how I died! jimliker died from tripping over a cordless phone..
its seems like we both r playing the game & killing each other.